Veterans are busy preparing for their annual charity fundraising day at the Holmbush Centre in Shoreham. 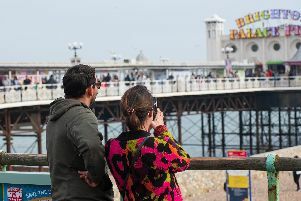 Organiser Gerry Mitchell said the day is a joint venture by the South Downs branch of the Fleet Air Arm Association and the Brighton, Hove and West Sussex branch of the REME Association. The Hove and Adur Sea Cadets will also be joining the veterans for the annual event, running from 9am to 4pm on Saturday, September 8.